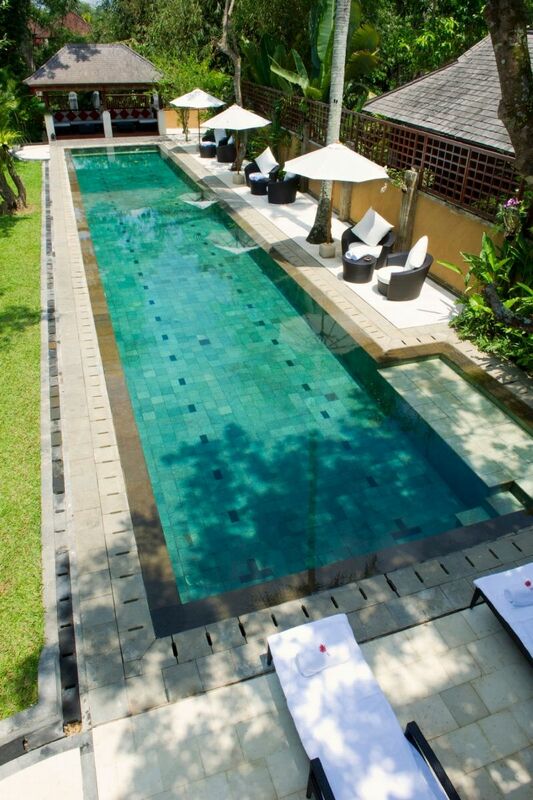 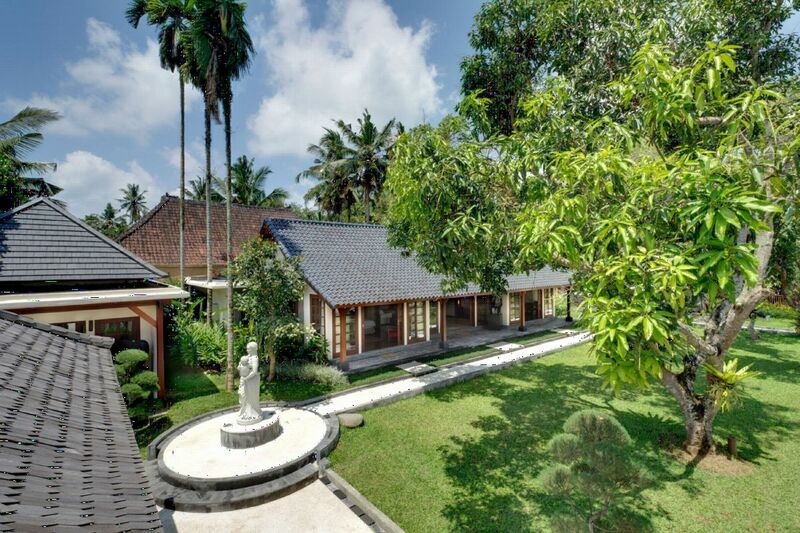 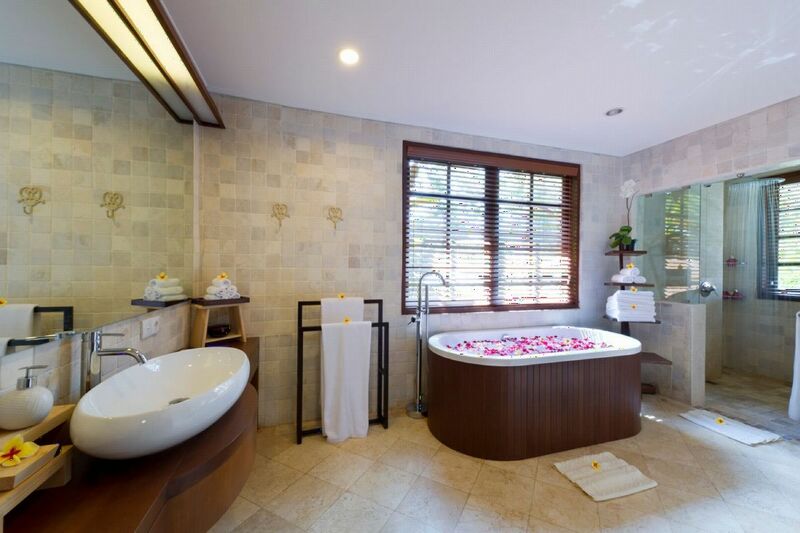 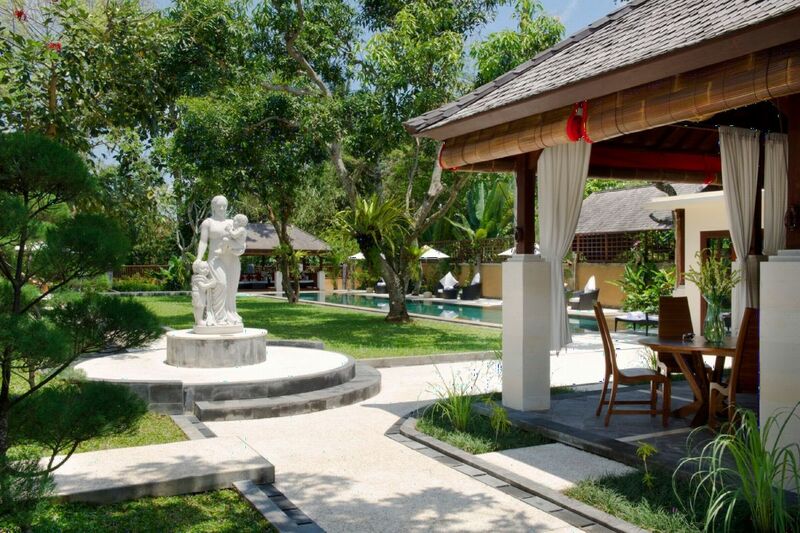 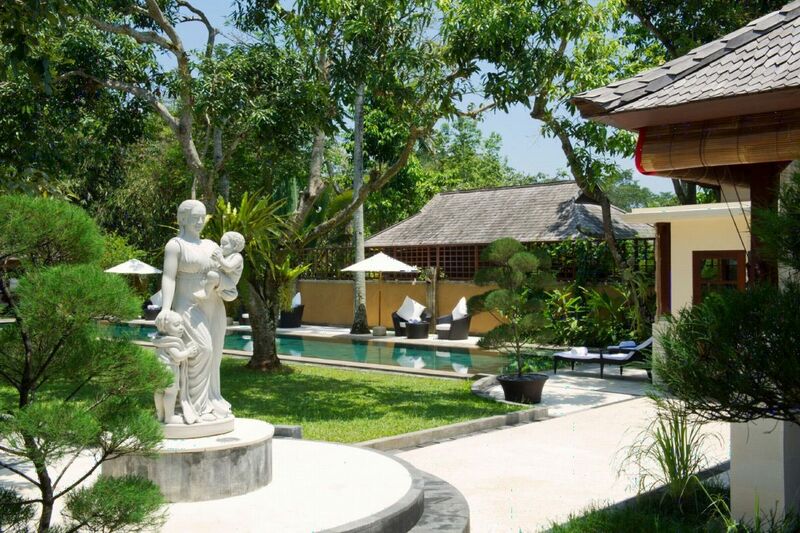 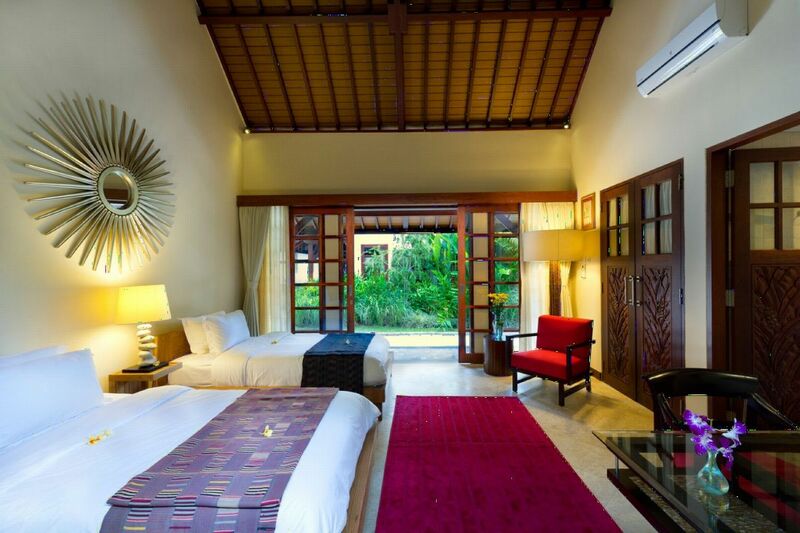 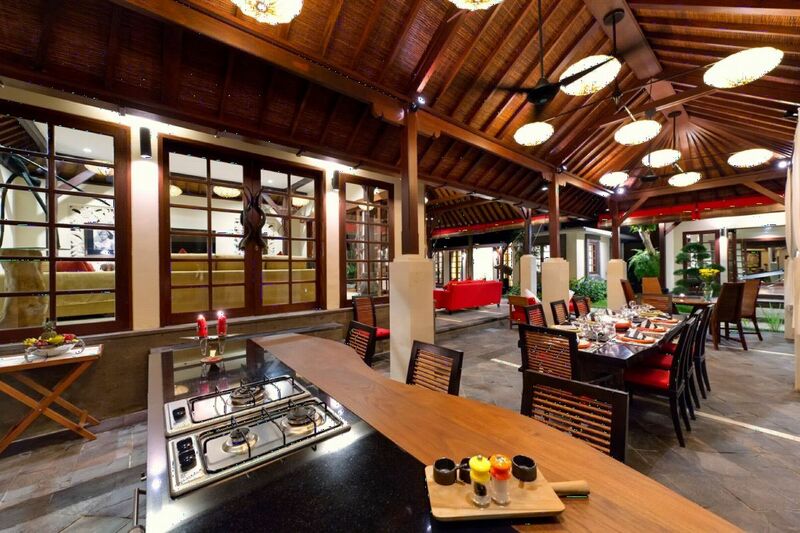 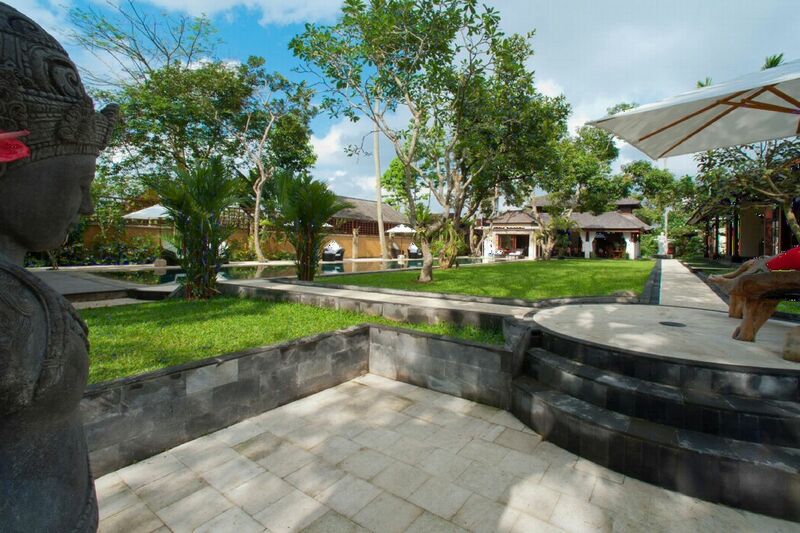 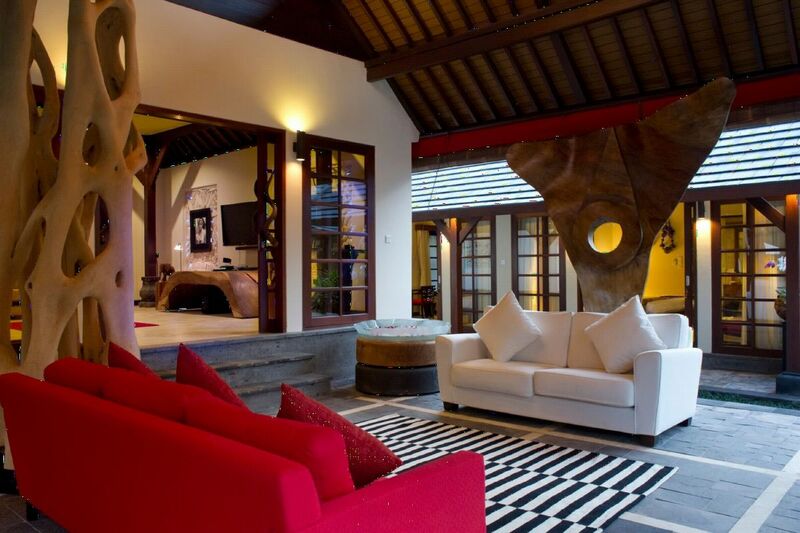 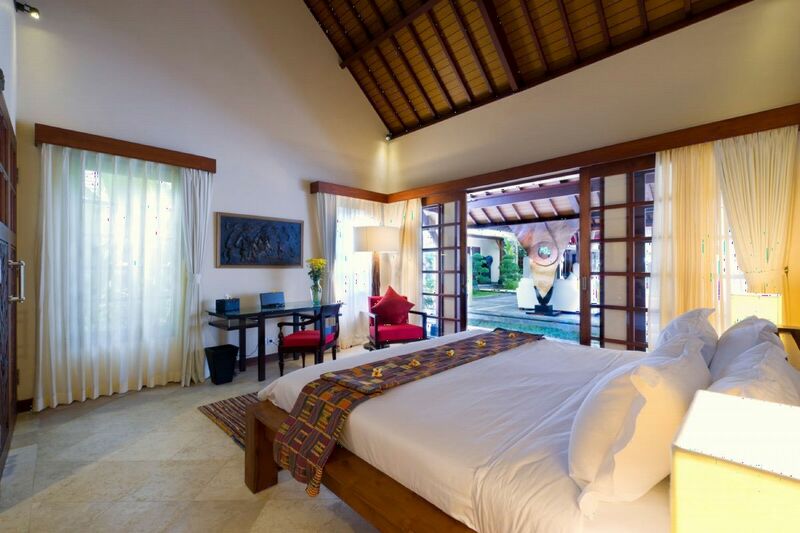 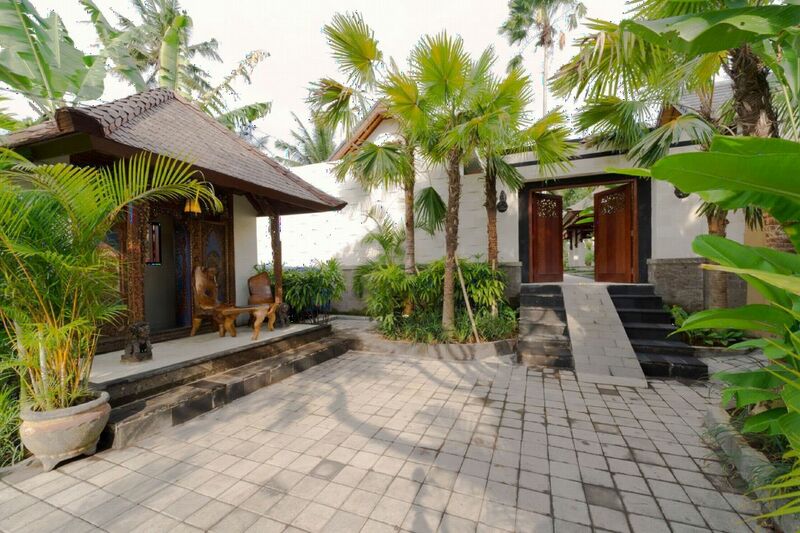 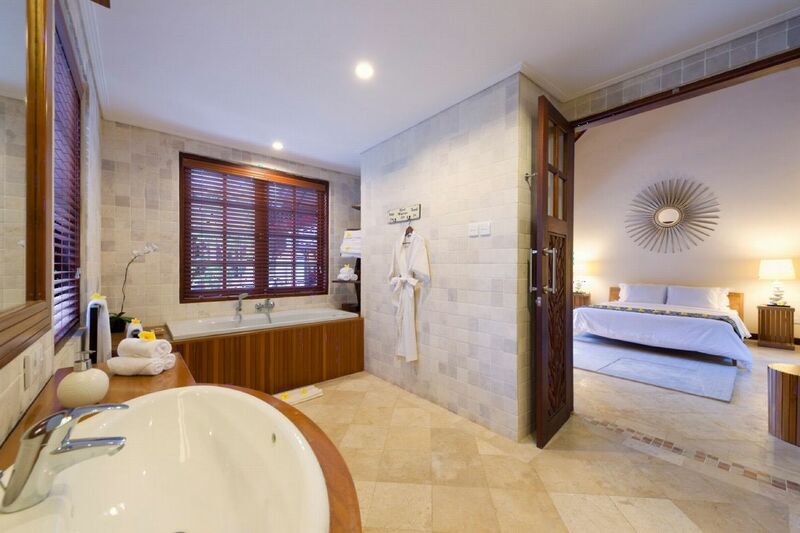 Villa San is only meters away from the Royal Palace in Ubud, where cultural shows are held every evening. 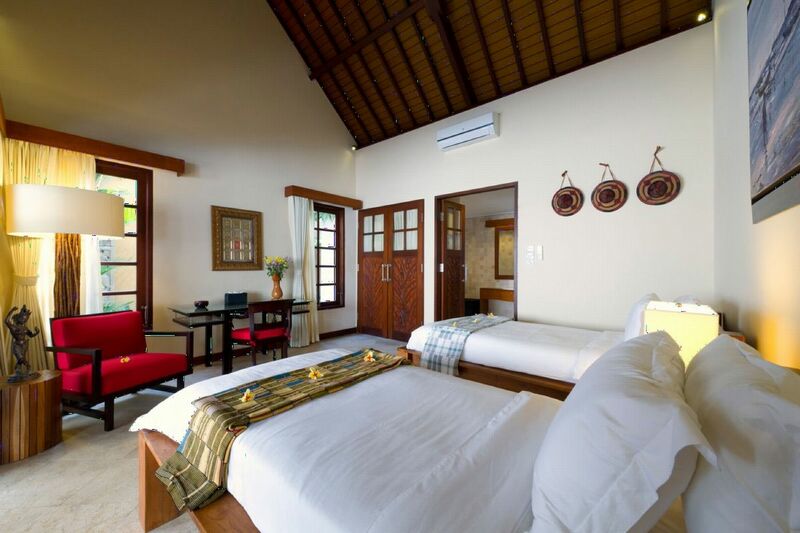 This is the perfect place to discover the hidden treasures and attractions of Ubud. 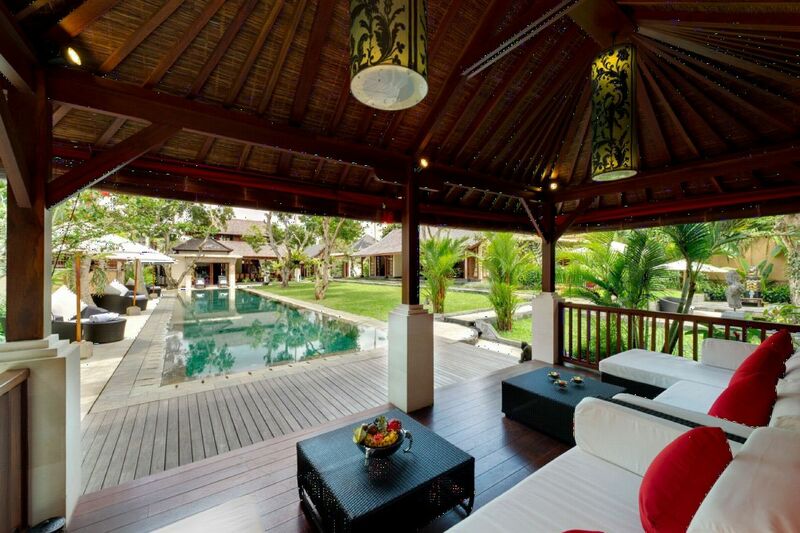 Although the villa itself is very quiet, a large local market, very lively, is only 300m from the front door. 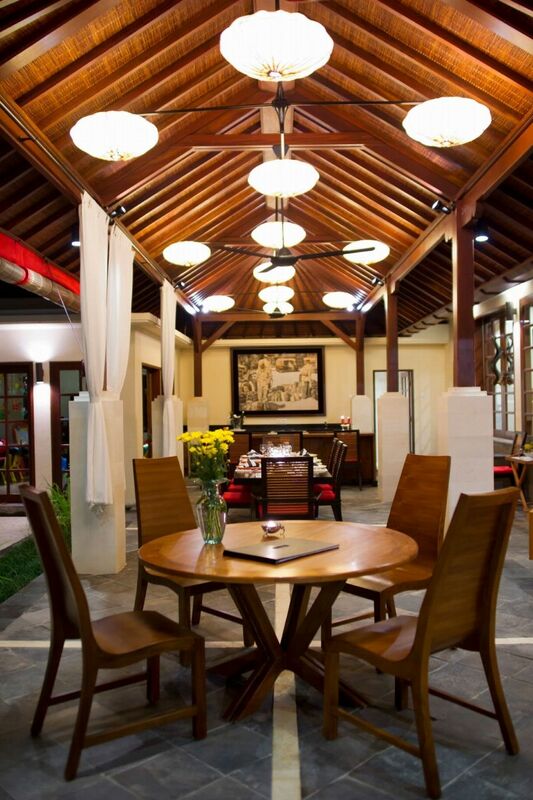 A generous variety of high quality restaurants and cafes are located in the center of the city. 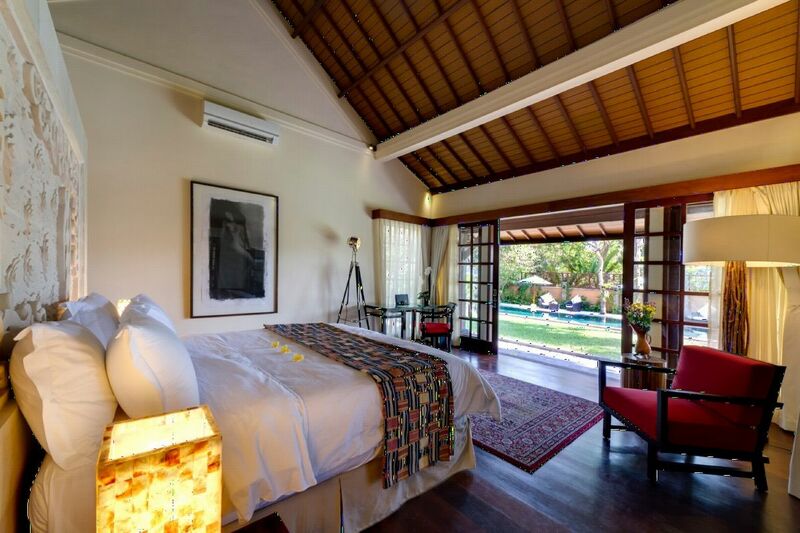 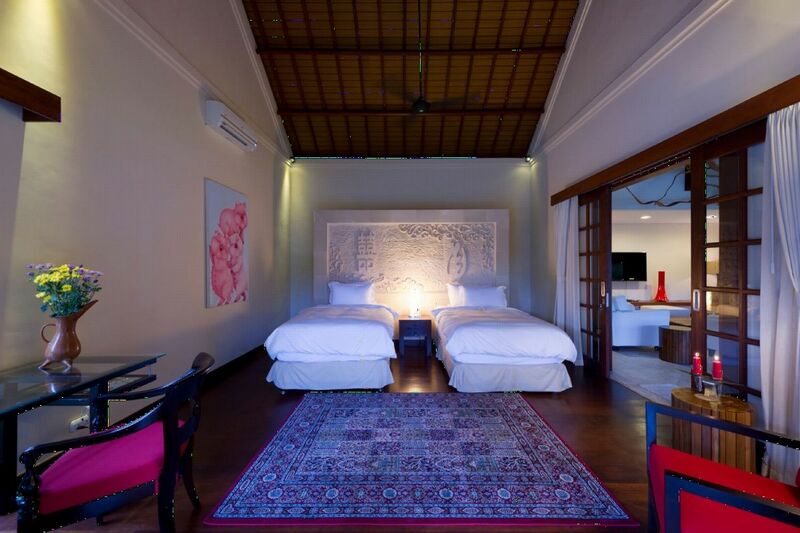 Villa San comfortably accommodates 12 people in six large bedrooms. 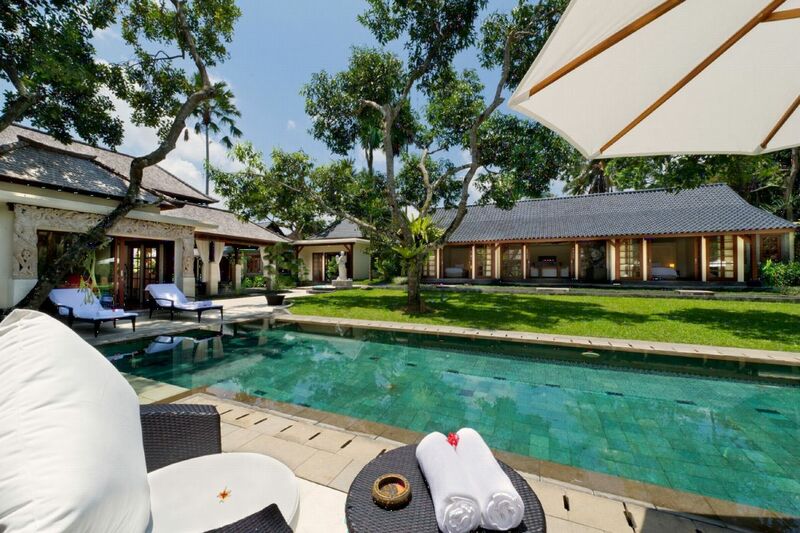 The lush gardens of the villa feature a 25m swimming pool and elegant sculptures around a terrace where meditation is quiet. 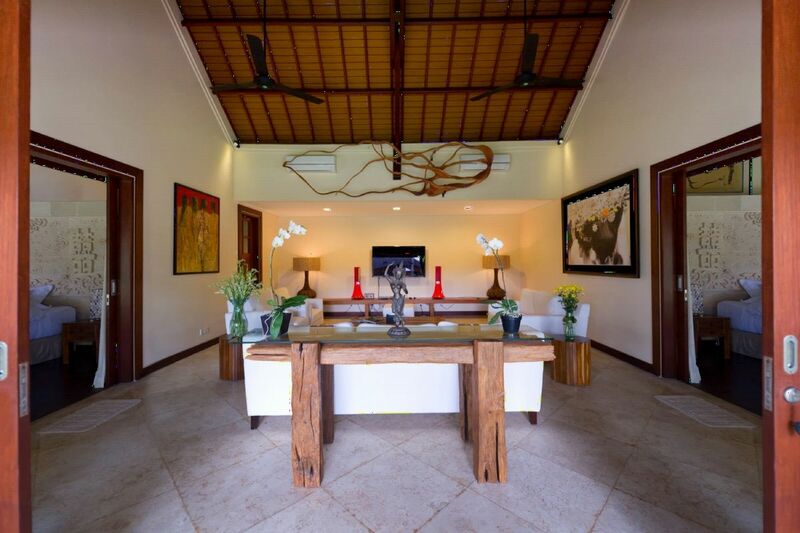 The atmosphere is very relaxed in this spacious, recently renovated villa, ideal for a large family or a group of friends. 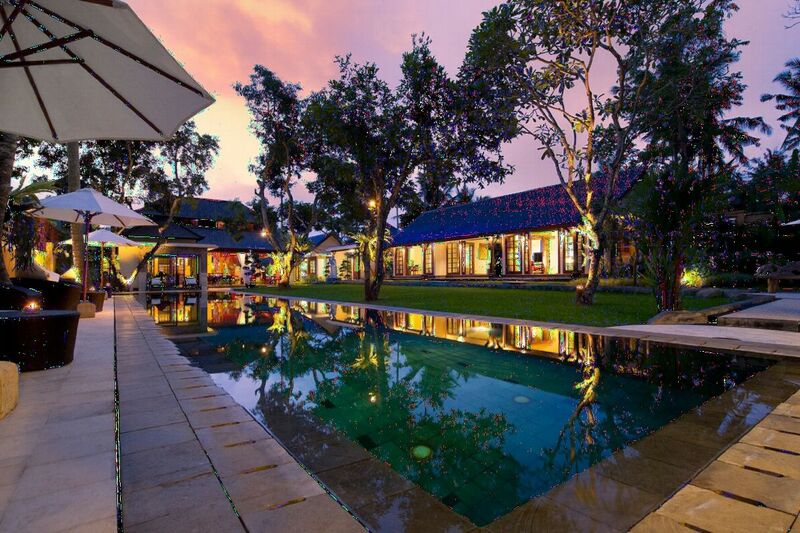 You'll be spoiled for choice with all the activities that you will be able to do: painting in a workshop, observing the stars with a telescope on the roof terrace, practicing yoga or meditation, relaxing in hammocks and swimming in a 25 x 5m pool. 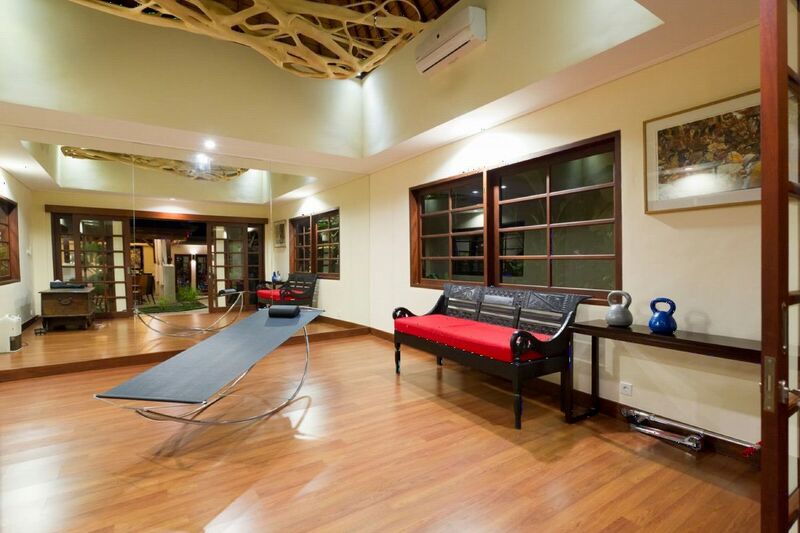 Inside, two entertainment rooms, a children games room and a gym will be available.